Pin your photos and stories to history! Schenk History Now Available on DVD! In October 2011 the East Side History Club’s program featured historic photos and recent video about the Schenk-Huegel building and the families related to businesses there from 1893 – 2011.Sue Retzlaff, Ann Waidelich and Gretta Wing Miller have now completed the video. Own your own piece of local history–order the video on DVD from Sue for just $20! 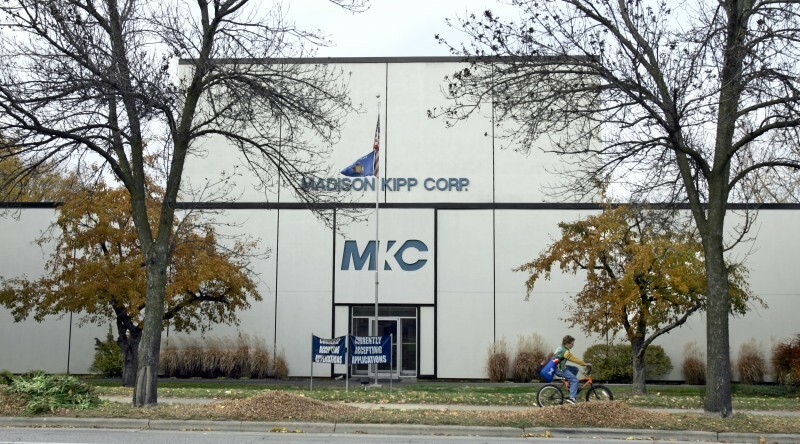 Channel 15 posted a video report titled “Madison families seek class action status for federal contamination lawsuit against Madison-Kipp” by Phil Levin on January 21st. Seven families living on South Marquette Street in Madison, who had originally filed their contamination lawsuit against Madison-Kipp corporation on October 20, 2011, have amended their lawsuit to ask the federal court to grant class action status to some 80 people who own or live in 34 homes immediately adjacent to the company. Read all about it here. You’ll find a link to view the video report as well. On November 19, 2011 the East Side History Club learned about Emerson School’s history. 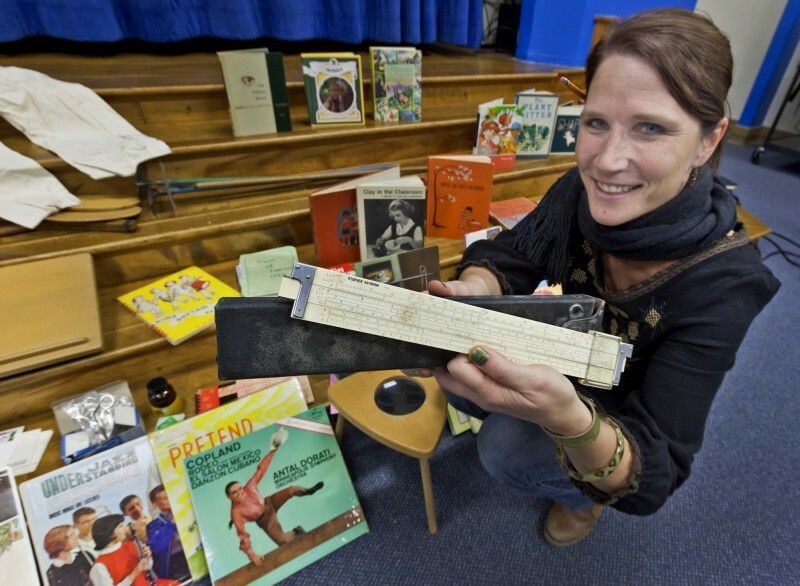 Principal Karen Keppler couldn’t attend the meeting, but she did lend some of the items she’d found while cleaning old storage areas in the school for display. Now Karen’s collection has captured the attention of the Madison press. Journalist Pamela Cotant profiled Karen Kepler and her treasures in the “School Spotlight” column on January 16th. The WordPress.com stats helper monkeys prepared a 2011 annual report for this blog. A New York City subway train holds 1,200 people. This blog was viewed about 8,000 times in 2011. If it were a NYC subway train, it would take about 7 trips to carry that many people.